ADMIT IT. You sometimes fantasize about living a completely different life. YOU IMAGINE HEADING TO WORK via sailboat, not subway. Trading in your dreary cubicle for a job that pays you to travel the globe. Or replacing your small paycheck with a six-figure advance. Maybe you’re looking to do something truer to who you really are, moonlighting as a yoga instructor or a comedian or even a firefighter. Perhaps you feel the call to transform other people’s lives through education or art or therapy. Or you finally want to see your name in lights. Whatever it is that you sometimes dream about—what if it could actually be your life? Take the Leap features more than sixty stories of people who made their fantasy a reality. The Texas lawyer who now runs a surf school in Nicaragua, the professional football player who is making it as an artist, the movie studio president who sold all his possessions to move halfway around the world and start a charity. It turns out that changing careers isn’t always about the job as much as it is about changing your life. The landscape of work is radically shifting. Fifty years ago, it was common to choose a career for life. Today only 9 percent of Americans have the same employer for more than twenty years according to the Bureau of Labor Statistics. Thanks to the internet, it’s never been easier to apply for jobs, connect with other people in your field, research another industry, learn a new skill, market yourself, create a brand, or launch a business. According to a survey by the Freelancers Union and Upwork, 2017 saw 57.3 million people freelancing, an 8.1 percent increase from 2014. Some people find themselves needing to pivot because the job they thought they would always have no longer exists. For others, what they want out of life can change. I know how challenging it is to make a career switch, even in the early stages. Growing up, I dreamed of being a writer like Nora Ephron. I imagined publishing a book a year, with a few movies or plays thrown in. Then in college, I became obsessed with art history. When I landed a job working at the front desk at Christie’s auction house in Manhattan, I was paid hourly with no benefits (while expected to dress impeccably). After a year it felt as though all I was doing was helping move art from one fancy apartment to another. So I went back to my original plan and decided to be a writer—but being a novelist was out of reach (I had to write one first). Magazines and newspapers with staff writing positions didn’t care about my college fiction awards. So I took a night course called Writing for Magazines at New York University and learned how to get published. I landed as an assistant at House Beautiful thanks to my art world background. I mistakenly thought I would be able to hop to women’s magazines from there and cut my teeth into writing about antiques and building products. Neither was an interest. Luckily, I eventually found editors who saw that I could write about anything and assigned me travel stories and profiles, which is where I really found my groove. To survive in the era of shrinking magazines (and writers’ paychecks), I’ve had to pivot my career countless times. I’ve written four books on my own, but then seven books as a ghostwriter. I also created a new identity as a brand advisor for hotels and lifestyle brands. Through it all, I have written a novel and three screenplays, none of which has sold—yet. Maybe that’s why I’m so drawn to the people in this book, all of whom didn’t give up on a crazy dream and found success later in life. Their stories are motivation not to give up. Maybe Hollywood is still within reach . . . The main constant in my career has been writing profiles. I’ve found that no matter who I’m covering—a celebrity, an entrepreneur, a hotelier, designer, or an athlete—I’m most interested in people who didn’t follow a linear path. The most inspiring stories are of people who decided one day to set an entirely new course for their lives, whether it was because they were facing an obstacle or they were driven by something bigger. For this book, I found people who aren’t just dreamers but doers. They dived in, went back to school, found mentors, ignored naysayers, and sometimes took steps backward in the hope of leaping forward toward the life they really wanted. What can they teach you about changing your life? People who have radically changed their lives provide serious inspiration for the rest of us. They are the ones who have lessons to teach everyone who has ever wanted to switch gears but worries they are too old, too young, too broke, too much of a novice, or even too successful at something else to really do it. The college professor who found happiness as a farmer, the tech employee who now spends her days scuba diving around the world, the woman who started a beauty brand when she hit retirement age—they have been where you are today, wondering if life could be better. They have dealt with disapproving friends, lack of resources, nagging doubts, a steep learning curve, and other hurdles. 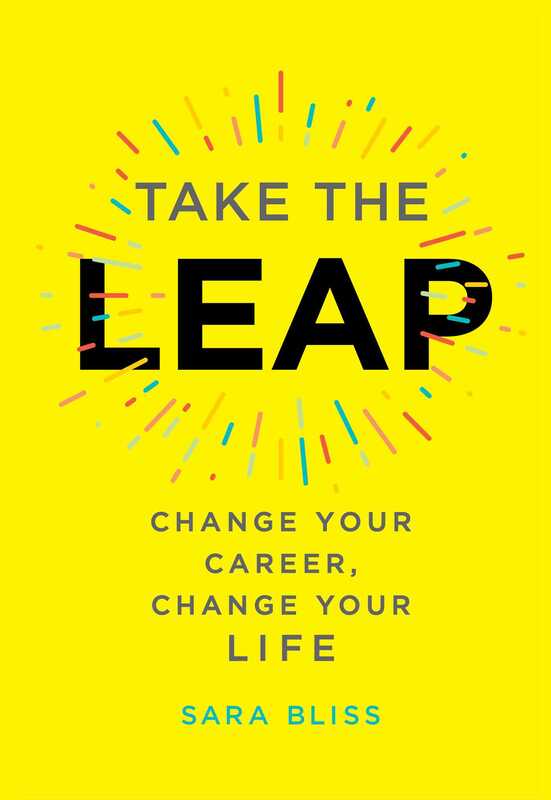 Their stories and advice provide answers, guidance, and real insight into the reality of making a leap. When you are thinking of making a move, the best people to listen to are always the ones who have done it. That’s the concept behind Take the Leap. I hope you will walk away from this book feeling inspired that real change is possible. This isn’t a book about blowing up your life, so don’t run into your boss’s office and announce you are moving to Belize. Follow the wisdom of the people who have changed their trajectory. Start by taking a class, finding a mentor, working for free, teaching yourself a new skill, and see where it leads you. Whether you want to quit your nine-to-five to open a beach bar, want to try something new at the company across town, or just want to live vicariously through a few adventurous souls, you’ve come to the right place. Now, let’s get started.